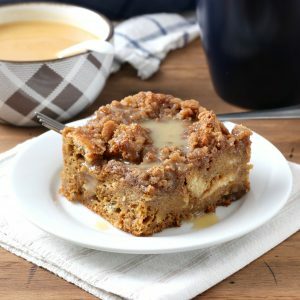 This easy Eggnog Gingerbread French Toast Bake has all the warm flavors of a ginger cookie and is topped with a simple eggnog syrup! The busy holiday season is here. Parties, concerts, family gatherings, etc. It’s also time for holiday baking! I think my baking list grows longer and longer every year despite all of the time I spend in the kitchen trying new recipes. 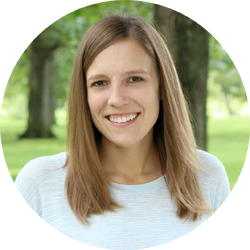 There are just so many recipes to try, and I am ready for holiday baking to begin! Time for pumpkin to move over and all of the gingerbread, peppermint, and eggnog to take over! 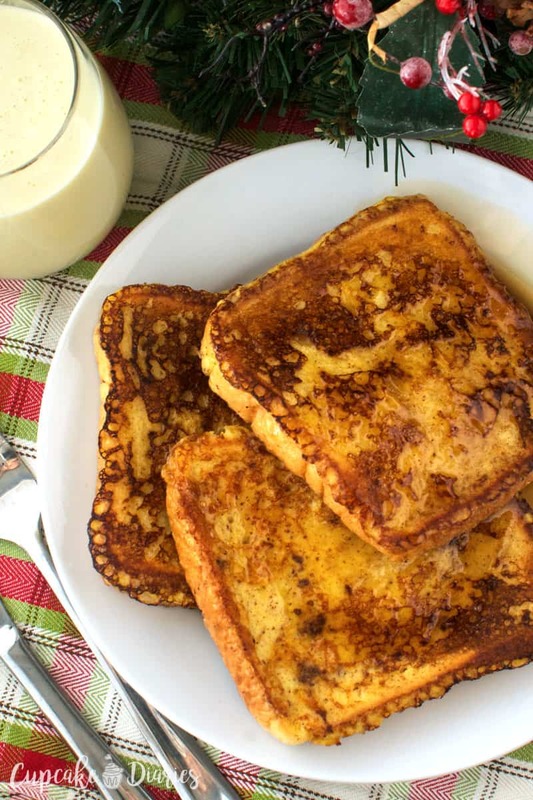 This eggnog gingerbread french toast bake combines two classic holiday flavors. Molasses, ginger, cinnamon, and hint of cloves make this french toast bake taste like your favorite ginger cookie. And who doesn’t want to feel like they’re eating cookies for breakfast?! 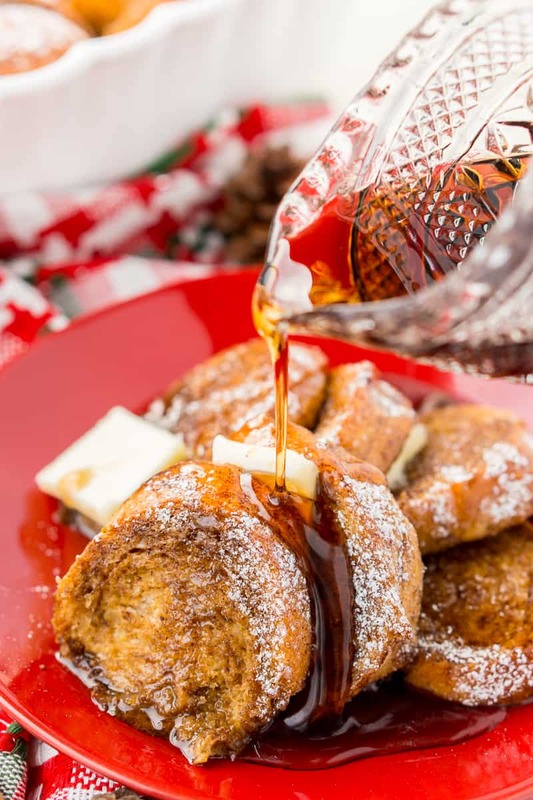 A simple syrup of of half maple syrup and half eggnog is whisked together over low heat to create the perfect topping for your french toast bake. 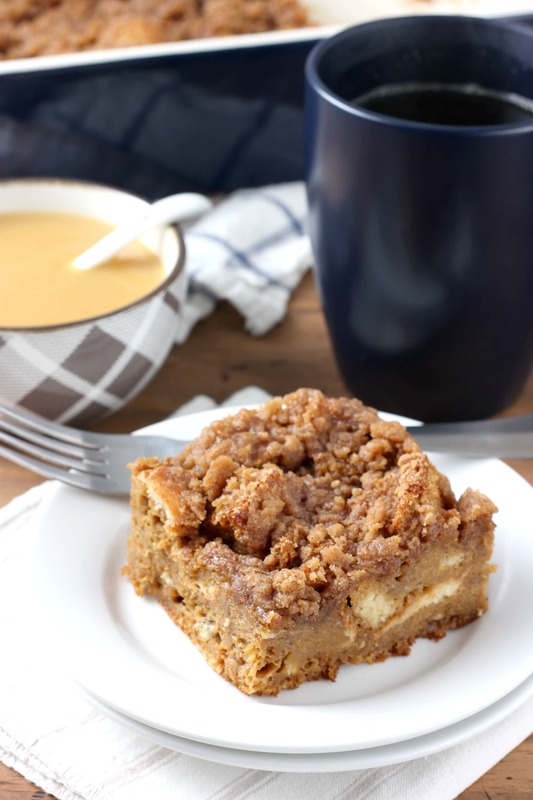 Of course, we can’t forget the streusel topping. 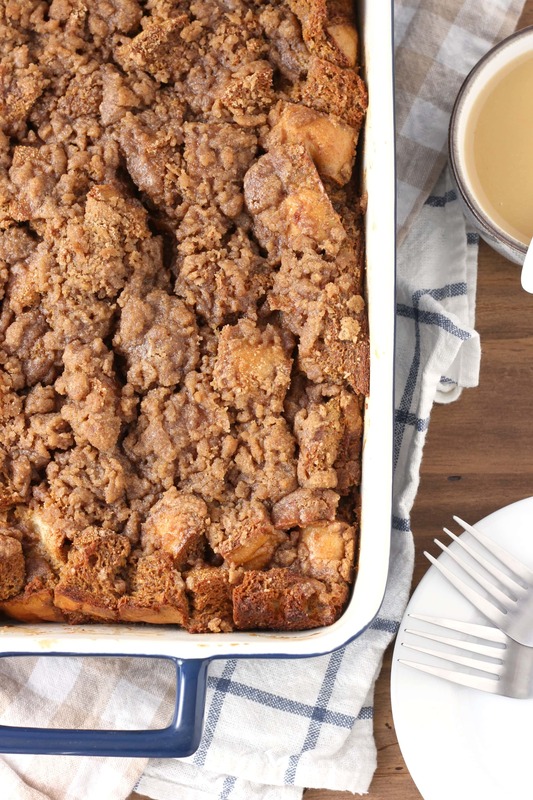 Chunks of buttery, cinnamon-y streusel make just about anything better! 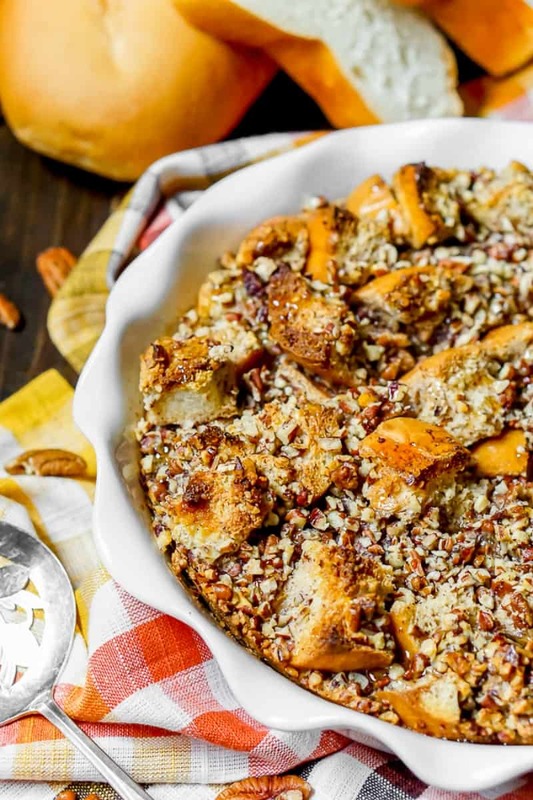 This french toast bake is no different. The sweet, crunchy topping is the perfect way to finish off the bake. 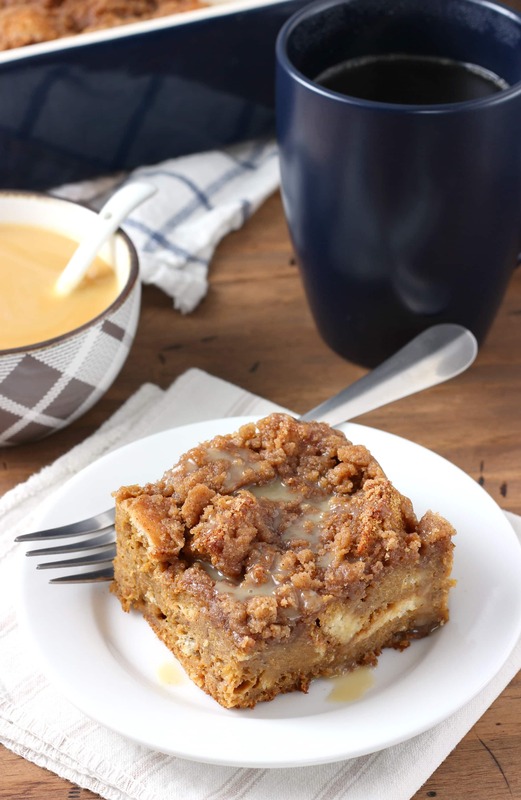 And since you can make it the night before and bake it the next morning, this french toast bake allows you to enjoy for a weekday breakfast what is usually reserved for a weekend breakfast! 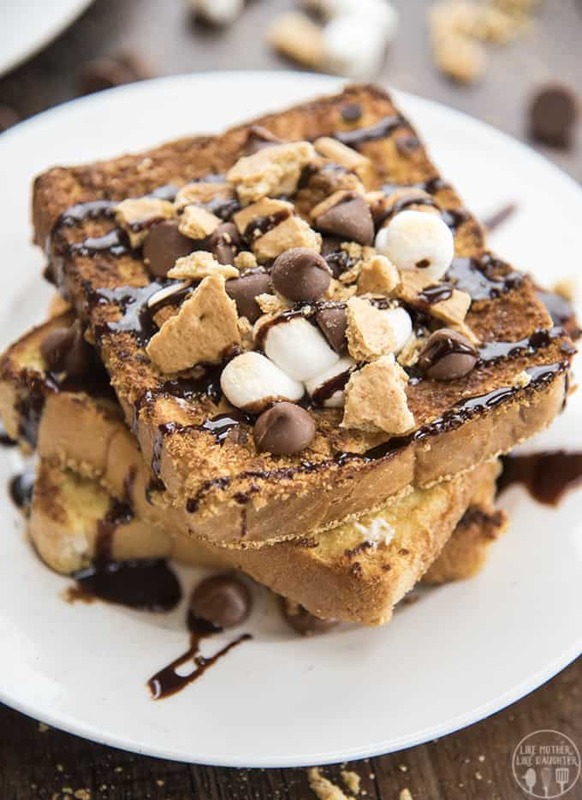 It’s national french toast day! 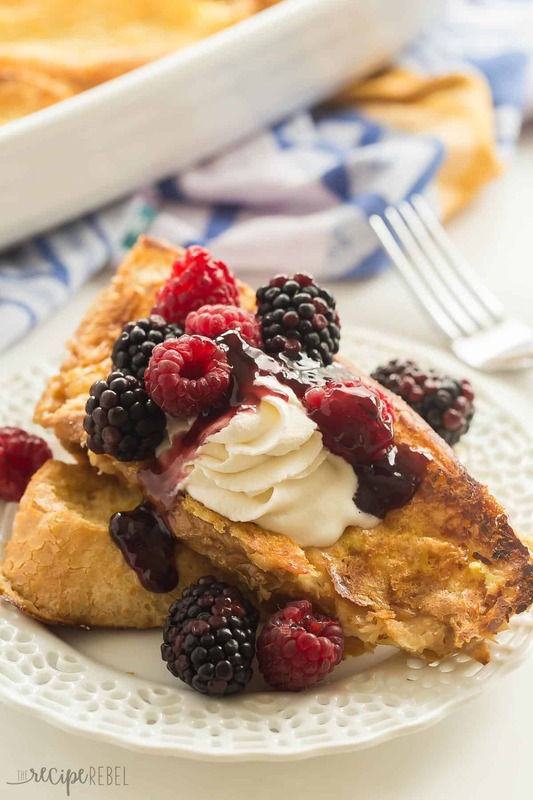 Be sure to check out more great french toast recipes below! Preheat oven to 350. Spray a 9x13 inch baking dish with non-stick cooking spray. Place cubed bread in a large bowl. In a separate bowl, whisk together eggs, eggnog, molasses, maple syrup, vanilla extract, cinnamon, ginger, and cloves. Pour over cubed bread and gently stir to combine. 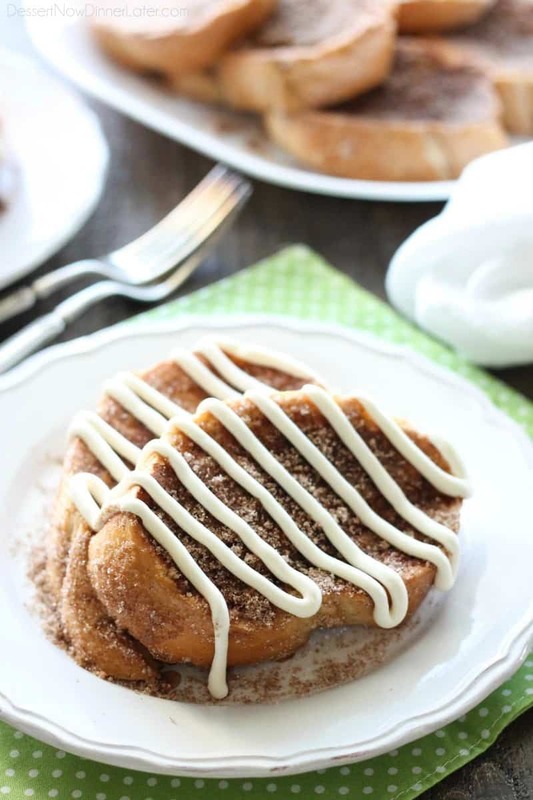 In a small bowl, whisk together brown sugar, flour, cinnamon, ginger, nutmeg, cloves, and salt. Cut in butter until mixture resembles coarse crumbs. Sprinkle over the top. **While french toast bake is baking, prepare eggnog syrup. Stir together eggnog and maple syrup in a small saucepan. Bring to a simmer over medium heat. Reduce heat to medium-low and let simmer until thickened and reduced by almost half. 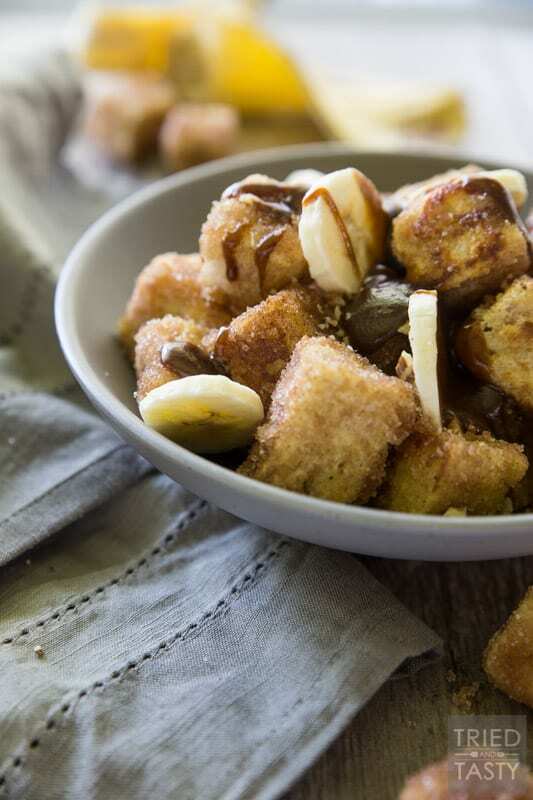 Remove from heat and serve with warm french toast bake. 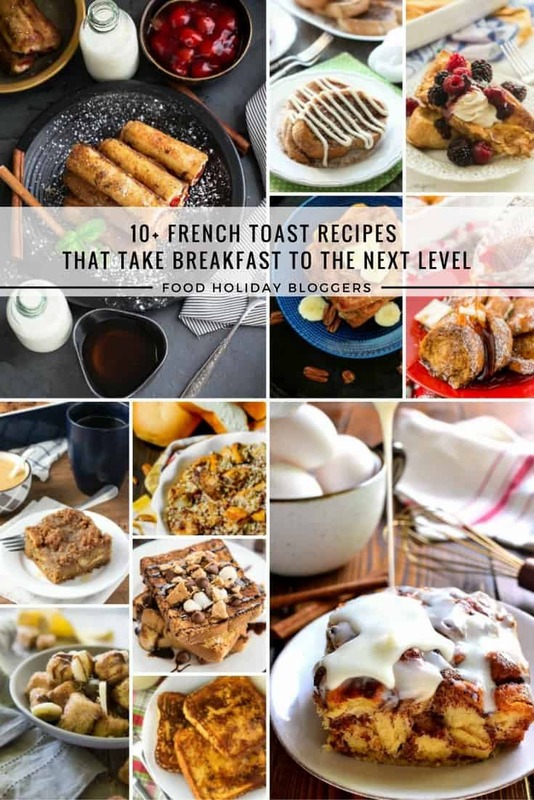 I am SO ready for holiday baking too, and how did I not know today was national french toast day…this sounds perfect! 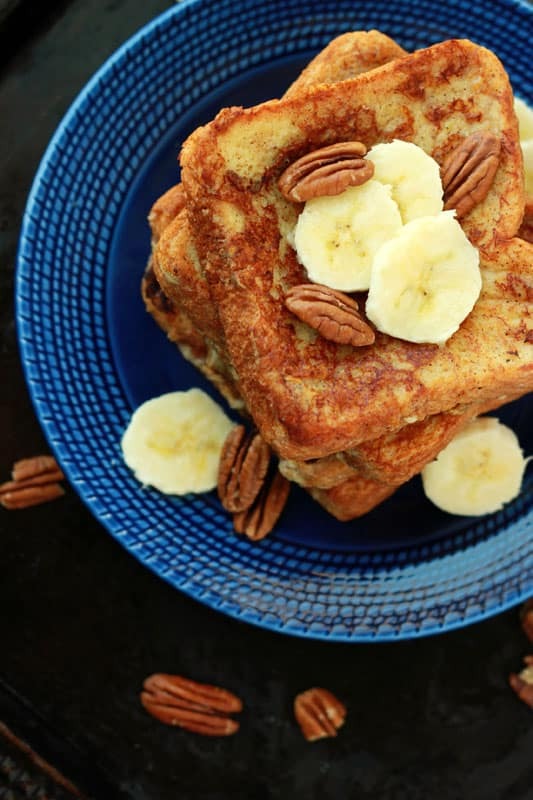 I think French toast is one of my all-time favorite breakfast foods! It is just SO good. This could almost be dessert! Oooh I want to eat cookies for breakfast! Me, me, I do! Especially in french toast form, especially all eggnoged up. I am an eggnog freak, it’s so hard for me to control myself around the stuff. Oh this looks perfect for Christmas morning breakfast! Yay for holiday baking! Gingerbread is a HUGE favorite of mine for Christmas so I know I would love this! 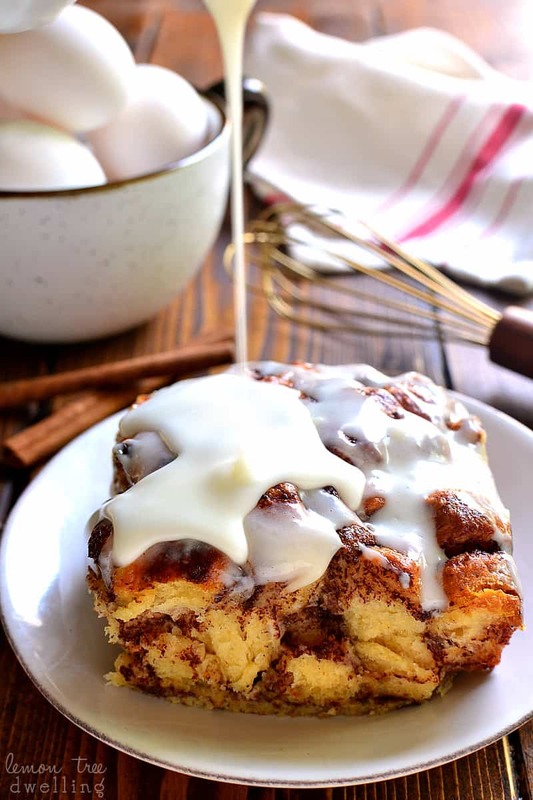 French toast bakes are our favorite!! 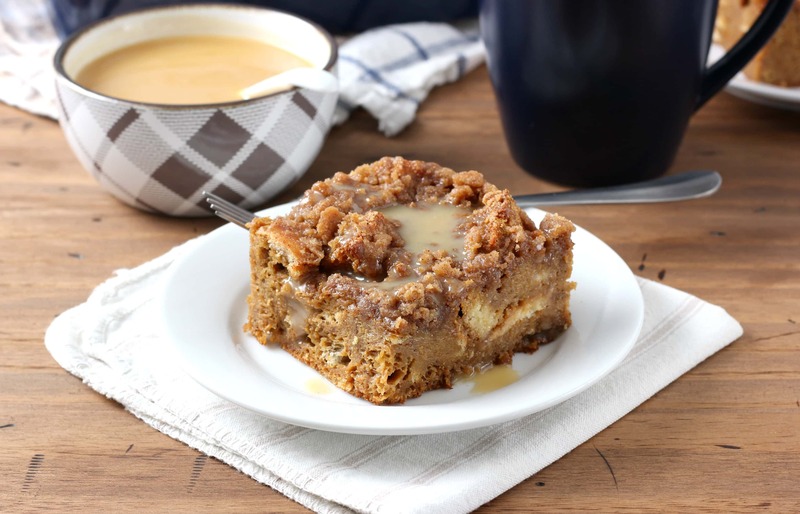 Love the eggnog and gingerbread combo in this yummy bake! So perfect for the holidays!! Mmm now this is my kind of french toast bake! Love this flavor, Jessica! Gingerbread and eggnog make the perfect combo! 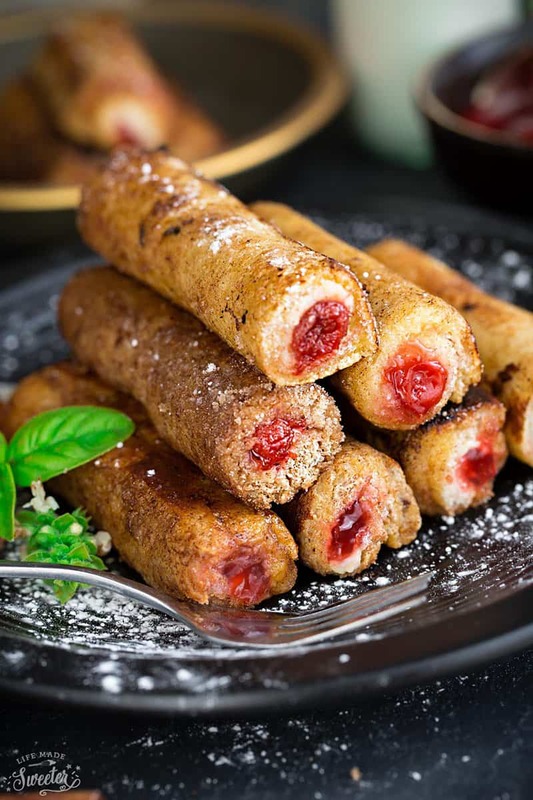 You’ve got two of my favorite Christmas flavors in one delicious breakfast here! I’ve never thought to combine eggnog and gingerbread, and I need to try this!